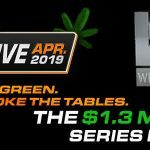 PokerStars has launched Winter Series Spin & Go games in its Italian and European ring-fenced markets, but is yet to release further details about the series. 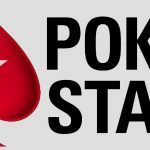 With the PSPC Players Championship just around the corner, PokerStars hasn´t had much time recently to think about Christmas promotions, but they are on their way according to the site´s Twitter feed. Last night, PokerStars´ Twitter account announced there will be “some fun competitions leading up to the Winter Series” which is scheduled to start on December 23rd. No information has yet been released about the Winter Series schedule or the promotions supporting the series; although in the Italian and European ring-fenced markets, special “Winter Series Spin & Go” games were added to the poker client yesterday – giving players the opportunity to win tickets to the €250 buy-in Winter Series Main Event, presumably (although not confirmed) on Sunday January 6th. Players in the rest of the world shouldn´t read too much about what goes on in PokerStars´ ring-fenced markets. Due to national licensing requirements, there is a €250 ceiling on tournament buy-ins; so, when the schedule is released for the rest of the world´s Winter Series, the likelihood is it will look much different from what is being offered in Italy, France, Spain, and Portugal. What Can RoW Players Expect in the Winter Series? Because of the way in which Christmas fell last year (Christmas Day was on a Monday) last year´s Winter Series was a day shorter than what has been planned for this year. On most of the fourteen days, three sets of tournaments went off three hours apart, with each set having four buy-in levels – Micro ($0.55-$5.50), Low ($5.50-$55.00), Medium ($55.00-$530.00), and High ($530.00-$5,200.00). What about PokerStars Winter Series Promotions? 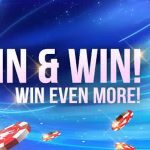 These too are likely to be similar to last year´s promotions and consist of a Spin & Go promotion, and freeroll tournaments or All-In Shootouts awarding tickets into Winter Series events. 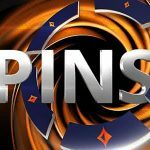 PokerStars also gave away five PSPC Platinum Passes during last year´s Winter Series; so, if you have not yet won your pass to the PSPC Players Championship, this may represent your last chance. The Spin & Go promotion was particularly good. Each game had a $35.00 buy-in and all the prizes were awarded as Winter Series entry tickets ($55, $109, $215, $1,050 or $2,100). What was good about this promotion was that the chances of winning one of the top prizes were much higher than in normal Spin & Go games; plus players who came second when the lower value prizes were spun often received their buy-ins back. Hopefully we see this promotion again on the .com, .uk, and .eu platforms this year. Undoubtedly more details about the Winter Series and the promotions supporting it will be announced over the next week. To keep up-to-date with the latest information as it is released, be sure to follow @PokerNewsReport on Twitter.